You probably wouldn’t describe a child born with a congenital leg abnormality as having been born to run, but it certainly seems true of Durham’s Desmond Jackson. Jackson, who’ll soon turn 17 and start his senior year of high school this month, had his left leg amputated above the knee when he was barely a year old and he’s had a prosthetic device fitted in its place. For Jackson, that was just the first of many obstacles he’s overcome in his quest to compete in the Rio 2016 Paralympic Games, which open Sept. 7. Jackson couldn’t have known that sticking with it would require not only changing others’ attitudes, but changing some of North Carolina’s regulations governing high school track and field competitions. But even if he’d known the challenges facing him, it wouldn’t have mattered. 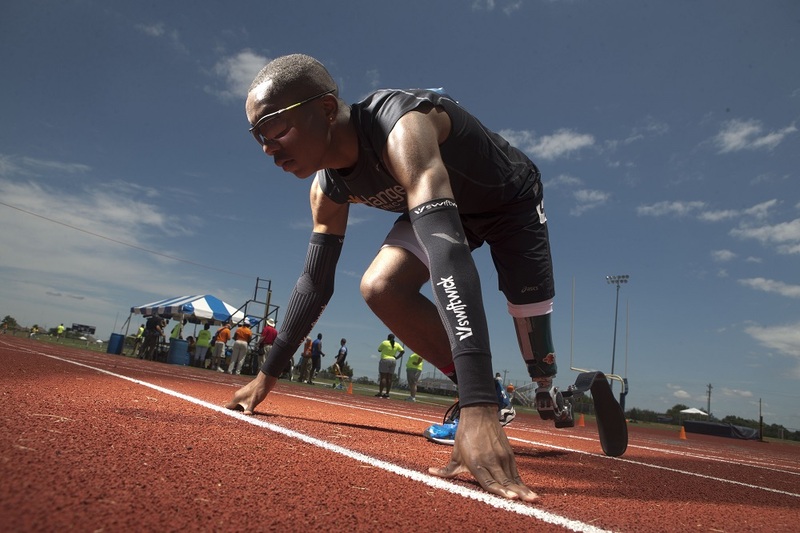 Jackson is a determined young man, both on the track and off. One of those things is to perform well against athletes with much more experience in competition and training. That will be a tall order as he competes in the 100m, 200m and long jump in Rio. Still, Jackson sees the upside in his comparatively young age. 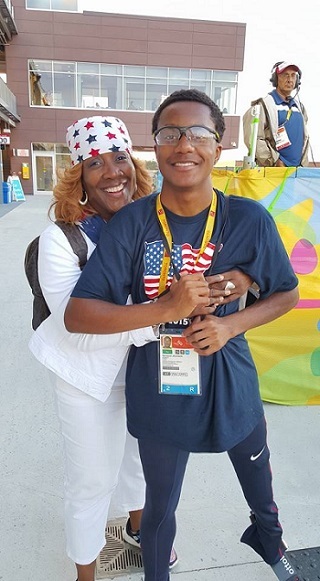 Jackson certainly has a grown-up outlook on life, for which he credits his mother Deborah and his personal coach Jamaal Daniels. He understands how important the Paralympic Games are and he wants to seize the opportunity to be noticed on a big stage. Competing among elite athletes – and becoming one of them – is as much a mental task as a physical one. And Jackson is prepared for the psychological test as well. Jackson brings a Live Fearless attitude to his athletic and personal pursuits, focusing on maintaining good health and a positive outlook on life. To keep track of Desmond Jackson’s best efforts, visit the Rio 2016 Paralympic Games website. The opening ceremony is on Sept. 7, with coverage of the Games provided by NBC Sports Network.